The HiPEAC conference 2018 greeted more than 400 people. 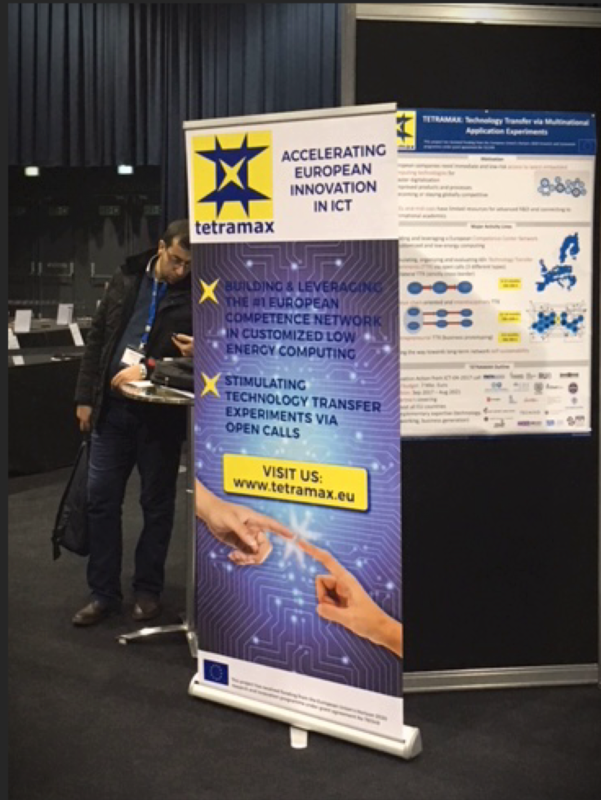 It was also an excellent occasion to discuss the dynamics of technology transfer and start-ups during the TETRAMAX workshop and introduce TETRAMAX at the EU exhibition. 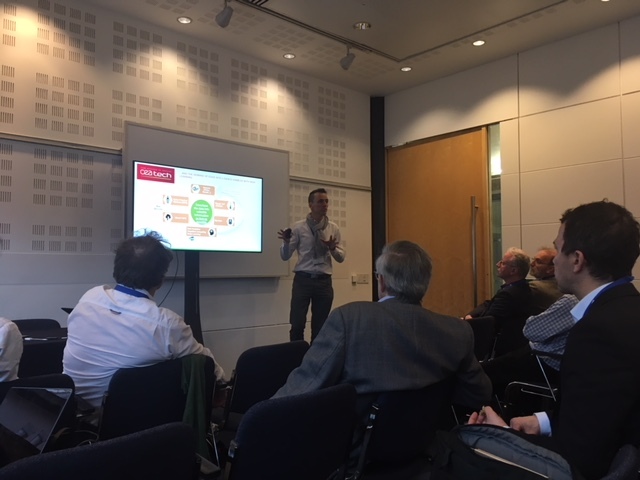 HiPEAC 2018 welcomed us all in Manchester Center. The HiPEAC conference is the premier European forum for experts in computer architecture, programming models, compilers and operating systems for embedded and general-purpose systems. The conference created many opportunities for all attendees to reach out, learn and talk about their work or projects. 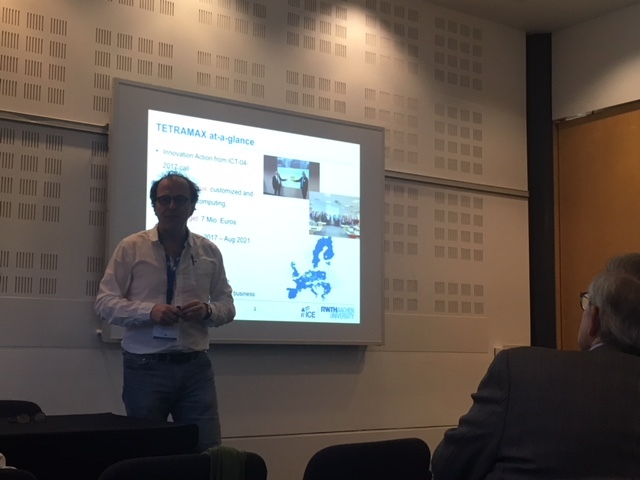 TETRAMAX introduced itself during the EU projects exhibition, pointing out its unique focus and funding opportunities. In addition, Koen Bertels of TUDelft organized the TETRAMAX workshop on "Transfer to Industry and Start-Ups". He started with an introduction of the TETRAMAX project and the open call. He was followed by a few guest speakers sharing their experiences and good practices. 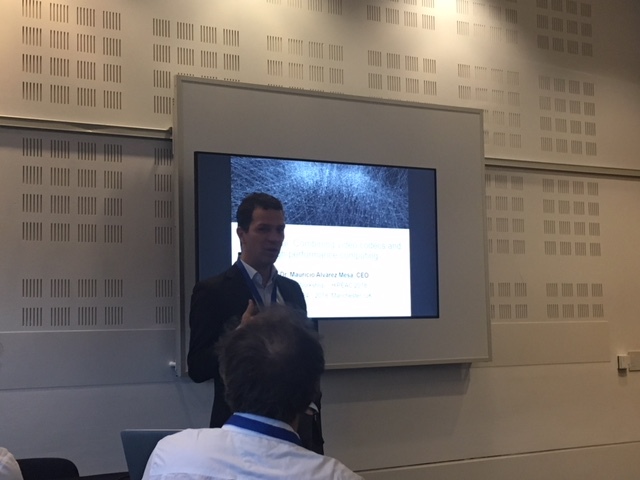 Mauricio Alvarez-Mesa presented "Spin-Digital: from to start to now". It is clear that thanks to the technology transfer project called “eGPU accelerated HEVC/H.265 video decoder”, awarded to AES TU Berlin and Think Silicon by TETRACOM, Spin Digital has made quite a start as a spin-off from TU Berlin. Pierre Damien Berger, CEA LETI - CPS European Project Coordinator, CPS solutions : from Innovation to Market. CPS are everywhere and require constant innovation in computing systems and software. The EU is investing in projects to boost this innovation with a true impact on society and industrial technology and already had remarkable results. Yves Gigase (ECSEL), ECSEL is an industry-innovation oriented funding programme with a three-partite funding scheme: the actions are funded by the private sector supported by both European and national grants. This system involves all partners and has a high success rate. John Goodacre (ARM), talked about what it takes to start a company such as Kaleao and pursuing the potential of innovative ideas. K. Bertels: BlueBee and the birth of heterogeneous multicore computing: TETRACOM funds helped to kickstart a TU Delft spin-off Bluebee, a high-performance computational infrastructure for turbo-charged genome analysis, providing healthcare professionals with the tools they need to diagnose genetic diseases and prescribe personalized therapies. The Dutch company’s growing success was recently consolidated by €10 million in venture capital financing.